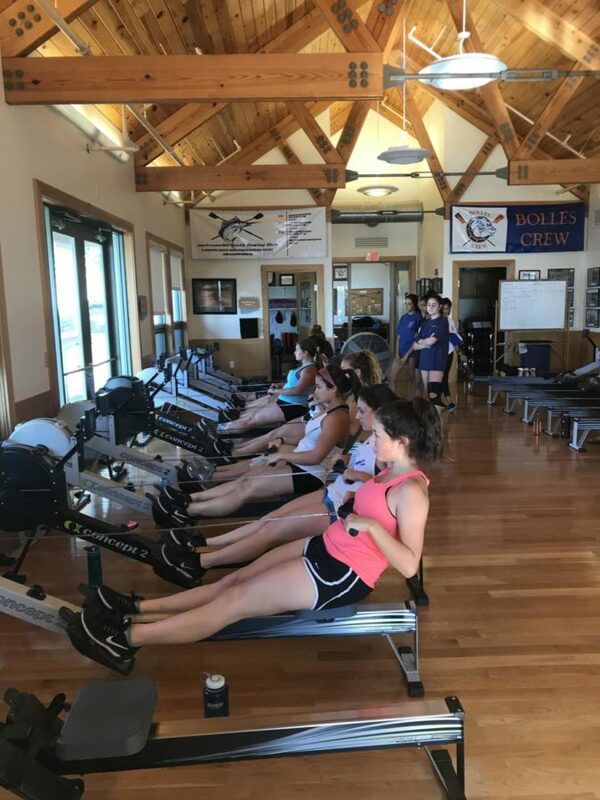 The Bolles Crew team has turned the loss of docks into what they call ‘The Bolles CrossFit Team’ as a joke because of all the exercise they do. Sweeping across the entire state, hurricane Irma devastated much of Florida. People’s houses flooded, houses were damaged by debris, power was lost for many days, but most of all the Bolles Crew team lost their docks. However, losing their docks has not dampened their spirits (no pun intended because they haven’t gotten in the water yet). Johansen has been rowing for five years. He, nor anyone else, has never experienced the inability to go out on the water. Even when he was in middle school, students were able to go out onto the water within a week of the start of the season. Bolles may have lost their docks but not their competitive drive. Bolles has been to two regattas and according to rower and Bugle writer Salma Shaalan, 99% of the team got medals. Register stated the crew team also has some amazing athletes that go beyond what is required. “Cate Haskell ’20 and Salma Shaalan ’20 are two that come to mind on the girls’ team. Cate is a hard worker who strives to do her best to lead by example. Salma is a great teammate and is always giving her teammates the finest she can. Even when disaster struck, the crew team did not disband. In fact, every single person who started out in the beginning of the year is still on the roster.